Kids, pets, work, home repairs, bills, taxes… the stresses of everyday life push in from every direction. We need a weekend away to relax and reconnect with the one person who means the most to us. For our 20th anniversary, Rob and I went to Disney without the kids, perfectly fun and carefree! And for our 25th anniversary, we cruised the Caribbean without the kids, incredibly relaxing as well. But, we really want to get away more than once every five years. 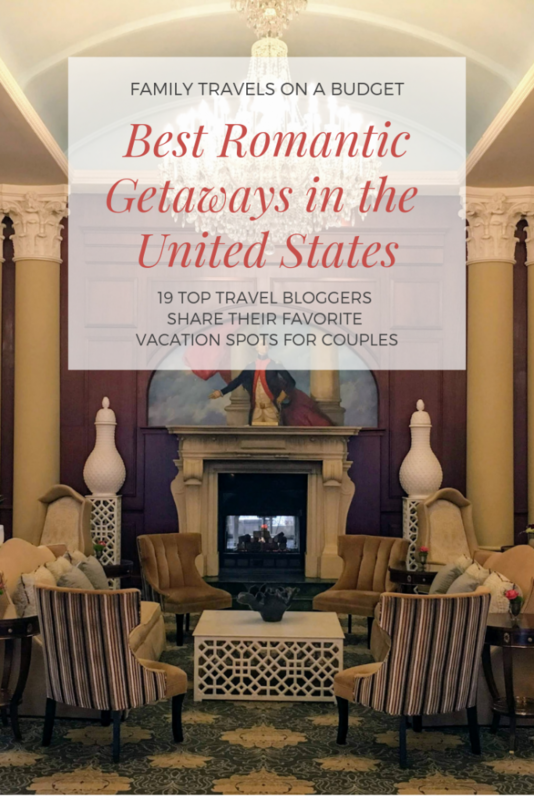 That’s why I asked travel bloggers to help me compile a list of the best romantic getaways in the United States. 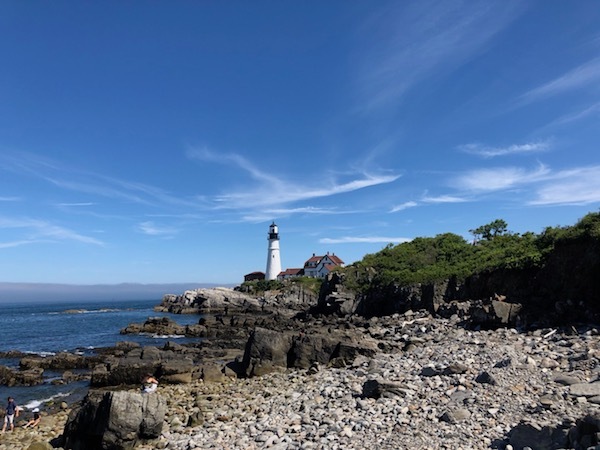 These destinations, from Portland, Maine to Hawaii, are among the best places to travel in the United States! Whether you want to enjoy breathtaking views at a romantic cabin hideaway or splurge on a candleight dinner at a romantic resort and spa, these romantic weekend getaways will help you rekindle the romance of your honeymoon. At the top of my list is Nemacolin Resort in Pennsylvania’s Laurel Highlands. The resort offers a wide variety of accommodations from the ultra-chic, European inspired Chateau Lafayette to spacious vacation homes, couples can create the mood they desire. On site, the resort offers activities for every interest, like the adrenaline inducing high ropes course to luxurious spa treatments, and everything in between. Nearby, go rafting on the waters of the Yough River in Ohiopyle and enjoy the unspoiled scenery of the Laurel Highlands. Afterward, enjoy couples massages at the spa or take a relaxing soak in the resort hot tubs. Check out the other romantic getaways recommended in this web collaboration of top travel bloggers. As our 30th wedding anniversary getaway appraoches, I’ve got lots of great ideas to consider. How about you? Where will you and your loved one celebrate next? Special thanks to each blogger who contributed to this post! 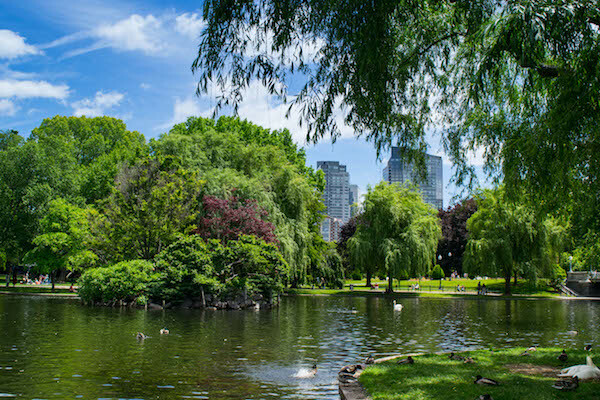 As the largest city in New England and one of the oldest cities in the USA, Boston makes the perfect romantic getaway: with its gorgeous location on the Atlantic coast, its compact nature (you won’t need a car during your visit! 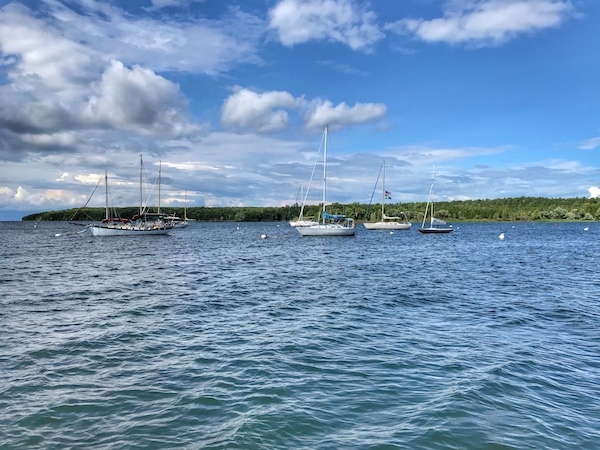 ), its beautiful neighborhoods, and its delightful food scene, you and your partner are sure to finish your trip completely enamored with Boston. While you’re there, be sure to walk to captivating Freedom Trail, to stroll through the gorgeous Beacon Hill neighborhood (be sure not to miss the photogenic Acorn Street! ), to explore the touristy-but-fun North End neighborhood, and to hit up at least one of Boston’s world-class museums. 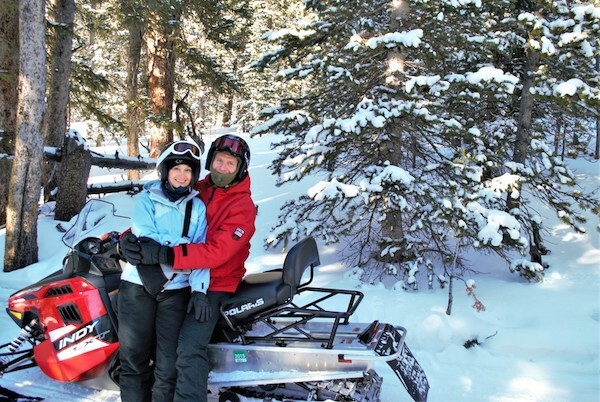 Breckenridge has got to be the most romantic getaway in the whole country… and I’m not just saying that because I got engaged there (snicker, snicker)! OK, maybe I am, but hear me out. Obviously, there’s skiing, which is a popular couple’s activity. But Breck also offers so much more, from fast-paced to slow and steady. Does speed turn you on? If so, book a snowmobiling excursion for the two of you. We did, and it was a ton of fun! How about cozy nights by the fire? You’re covered there, too. Most of the ski resorts have fireplaces in the rooms, and provide firewood for a small price. To really push your trip to next-level romance, book a private horse-drawn sleigh ride in the valley. If you want to take some downtime to cuddle up and enjoy the mountain views, this delivers. Top it off by stopping halfway through the ride to pop the question! That’s how my husband proposed, and it was unforgettable. ~Contributed by Mary Beth from MB Sees. With its chaotic energy, mesmerizing skyline and incredible restaurants and bars, New York is the perfect spot for a romantic getaway in the USA. 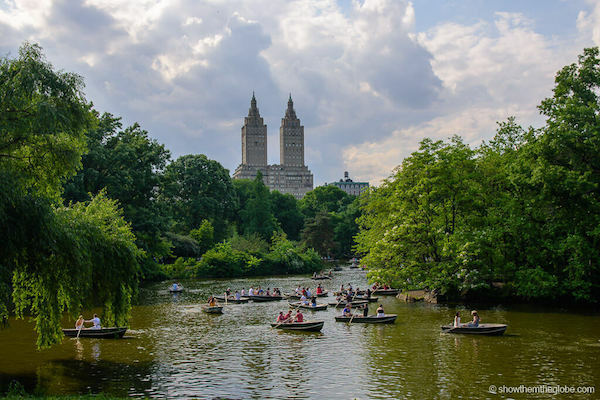 There is an abundance of romantic things to do in New York: our favorites include a walk across the Brooklyn Bridge, a leisurely picnic and a boat ride in Central Park, a stroll on the High Line, a spectacular meal followed by a secluded table for two in one of the city’s many speakeasies, a champagne cruise on the Hudson and a breathtaking helicopter ride over Manhattan. 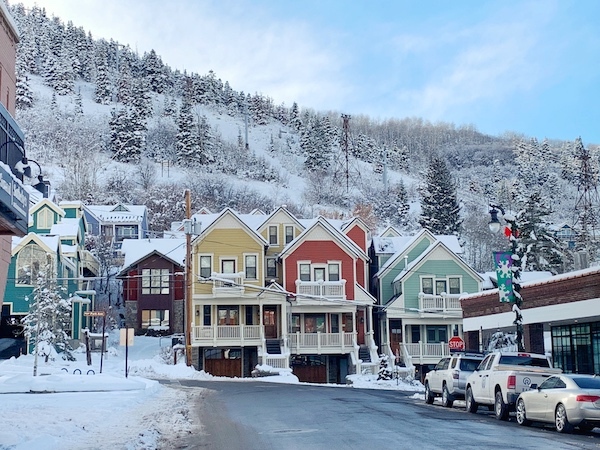 Park City is a charming city that is perfect for a romantic getaway in the USA. If you go during the winter you will find amazing snow only 45 minutes from the Salt Lake City airport. The winter wonderland provides activities that will bring you together like skiing, snowboarding, sledding, bobsledding and so much more. 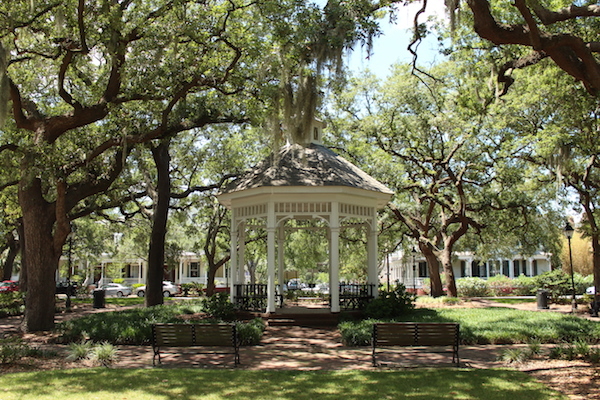 Savannah is the most picturesque town in the United States – and one of the most romantic locations in the world. But what makes Savannah such a dreamy destination to travel to? There are many reasons why. For some, it is the charm of the Spanish moss hanging so delicately among the trees; for others it is exploring the 24 stunningly perfect town squares – which are a major reason why Savannah is considered to be so beautiful; or it could just be all the old world history that exists here which enchants all who visit. 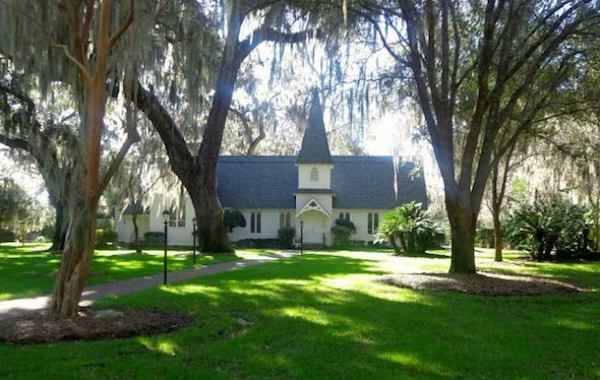 There’s no need to travel to the tropics when you can visit St. Simons Island, Georgia. 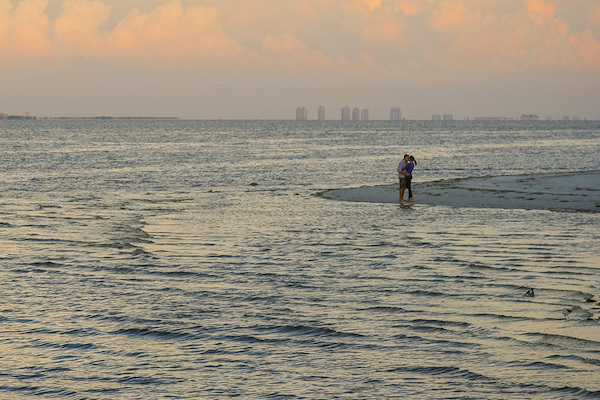 A barrier island located off the coast of southern Georgia, St. Simons has a relaxed vibe that’s perfect for a romantic getaway. Take a sunset stroll or a bike ride along East Beach before ending the evening at one of the quaint restaurants located at the Pier. 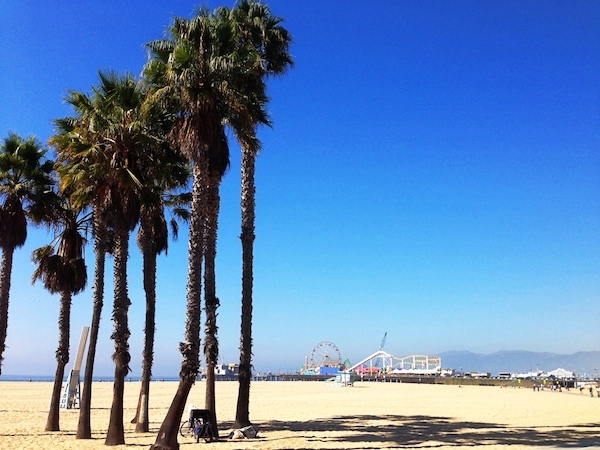 When I asked other travel writers to share their romantic getaway recommendations, California was quite popular. I understand, really. There’s something for everyone in California. 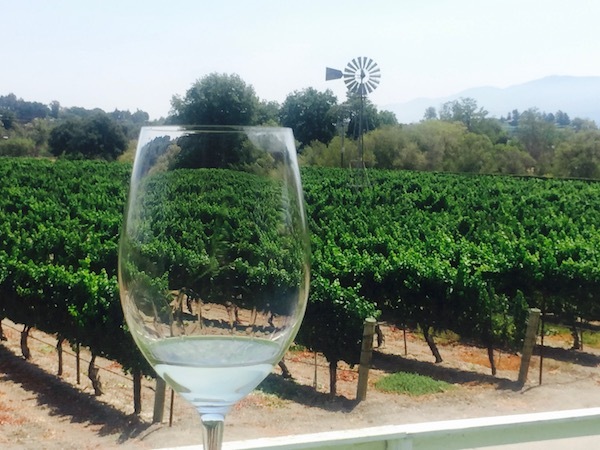 Maybe you’ll find your perfect romantic escape in the Golden State! The United States is well known for its awesome landscapes, but few are stunning as Lake Tahoe. 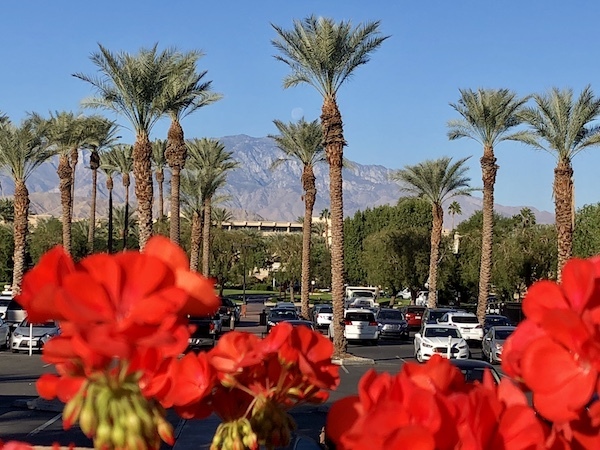 This place, which spans California and Nevada, is the perfect romantic destination as it offers plenty of things in every season. Frosty mornings, snow-packed mountain peaks, luxurious accommodations, exciting activities and scenic spots make it a great romantic getaway in the mountains. 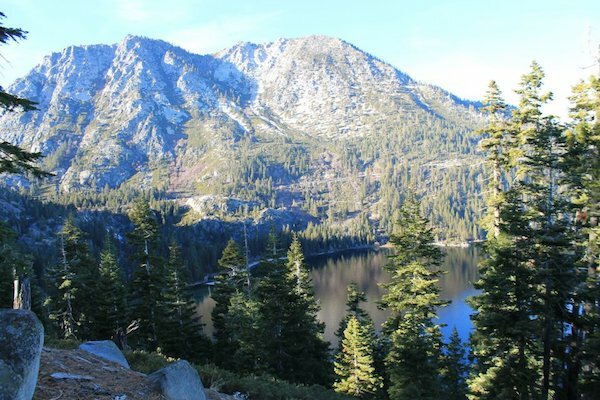 Whether you want to go horseback riding or kayaking in summer or skiing and snowboarding in winter, Lake Tahoe visitors are sure to have the best time of their life. Because of the romantic nature of this place, you can get special romance packages offered by the hotels and resorts. While you might know that San Francisco is a perfect weekend getaway, did you know that the city is also full of romantic places to visit? Walk along the Embarcadero while taking in views of the San Francisco Bay and explore the Ferry Building Market for some delicious grub. 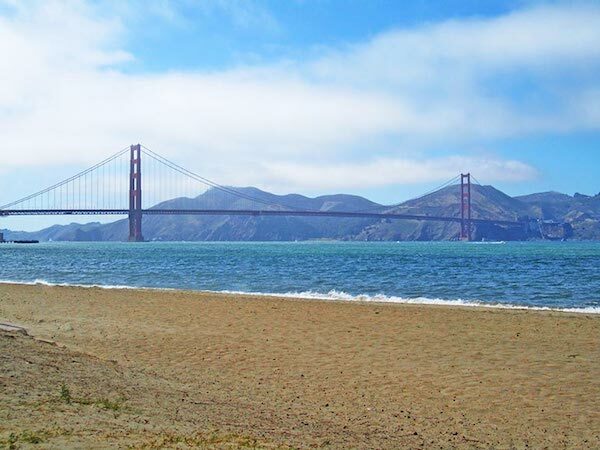 Explore Crissy Field for amazing views of the Golden Gate Bridge or visit the super romantic Twin Peaks for one of the vistas of the city, especially of downtown and the Financial District. Don’t forget to check out the Hearts of San Francisco, a series of over 200 sculptures located throughout the city. The hearts are based upon the famous song “I Left My Heart in San Francisco” by Tony Bennett. Also see Cupid’s Span, a partial bow and arrow sculpture, representing the city’s romantic theme. 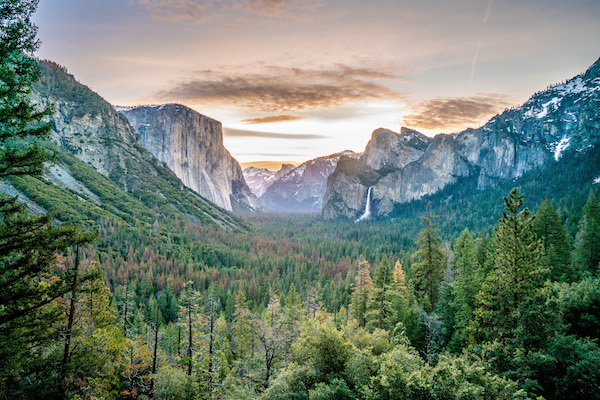 If you’re looking for a romantic getaway in the US, nothing is more dreamlike than Yosemite National Park. The secluded location, just a few hours drive from most big cities in California is a beautiful escape for couples young and old. Whether you’re interested in being active or relaxing, or both, Yosemite has it all. Stay at Tenaya Lodge, Yosemite’s most romantic hotel and enjoy swimming, spa treatments, and fine dining under the backdrop of stunning mountains. 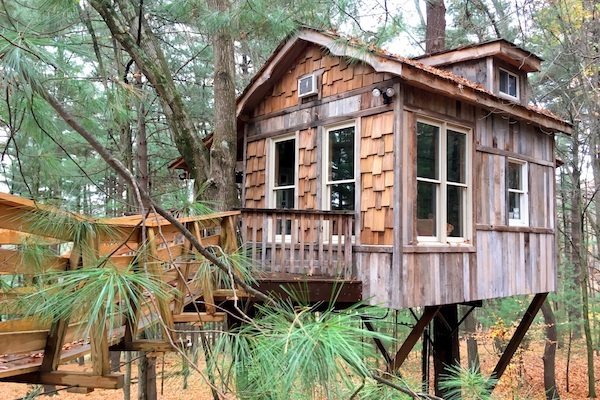 Tenaya offers romantic suites as well as new, more secluded cabins. 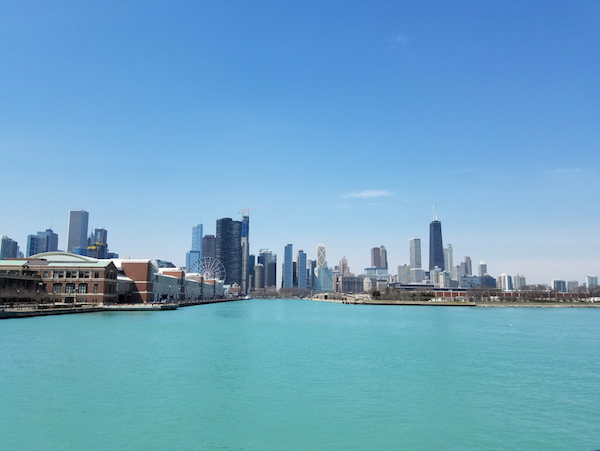 There are some great cities on this list! I LOVE Boston and have always wanted to travel to Savannah! I never realized Boston was such a romantic destination. I learned a few new things here. I am going to check out some of these destinations for sure. Absolutely beautiful. Anywhere with Hawaii in the location sounds up my alley. But I’m eyeing Park City, Utah too. So many amazing destination options! My husband and I will be taking a trip to NYC this spring. We would also love to get back to Seattle. wow! These are all wonderful places to be for Valentine’s Day. Beautiful and romantic places! I think I would like to be in Santa Ynes Valley California! These sound like terrific ideas. I would love a getaway. It’s been a bit stressful as of late. I love posts like this one that let me know of places around our beautiful country! I am eager to get to Sanibel! I already see a few places that I would love to visit with my husband. Maybe next year! I love St. Simons Island! 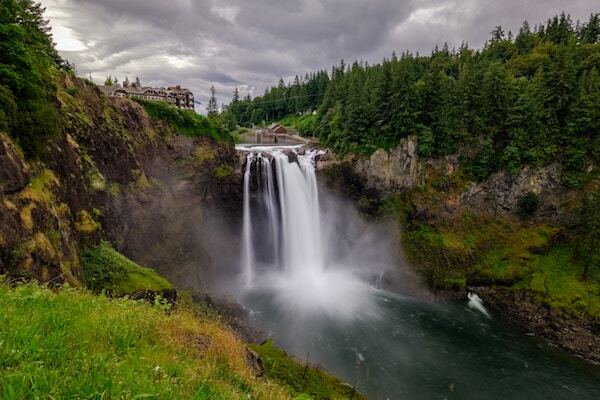 It’s definitely a great place for a nice romantic getaway. Surprised to not see my town of Miami on there, as it’s a pretty romantic place! Thanks for putting this guide together. 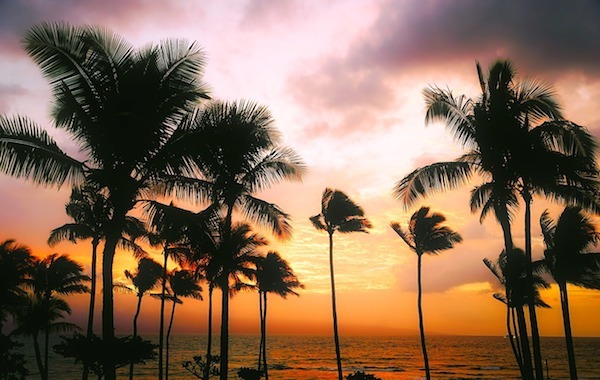 I think we are overdue for a trip to the Big Island. Wouldn’t that be a beautiful vacation? I’ll have to share this with my wife! Great post. I can’t wait to visit some of these locations. I have to add them to my bucket list. I have been to a few of these places and you are correct they are definitely romantic. Now I have a goal of getting to all the other places just because they look beautiful. Yes Park city Utah is beautiful place. I need to visit Seattle and Portland. I enjoyed looking through the list and seeing if my City was listed and it wasn’t. But I found a lot of places I would like to visit along with new bloggers to check out. ahh i am loving all these great getaway ideas- i def need to schedule something like this for my husband and i in the next few weeks- we could use a vacation and staying close to home would be perfect! love the recommendations! These do sound like wonderful places. I would love to go to any of them. I’m hoping to get back to NYC. I also want to get back to Boston. I love the history of it. you really have a nice blog! 😀 I wish to travel more like you, but since I have two beautiful kids that’s needed my attention and care, I can’t. We have been to Door County and enjoyed the area very much. We don’t care for big cities so tend to do more remote quiet places.